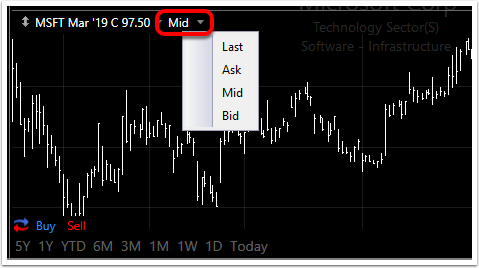 You can now plot an Option's price history using the Last, Ask, Mid or Bid* data points. 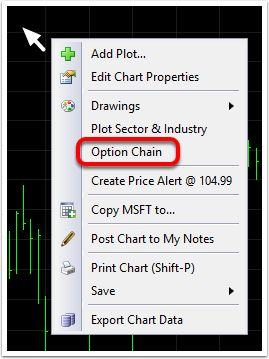 Right-click on a chart and choose Option Chain from the menu. This opens an option chain window. Click on the option you want to see on the chart. 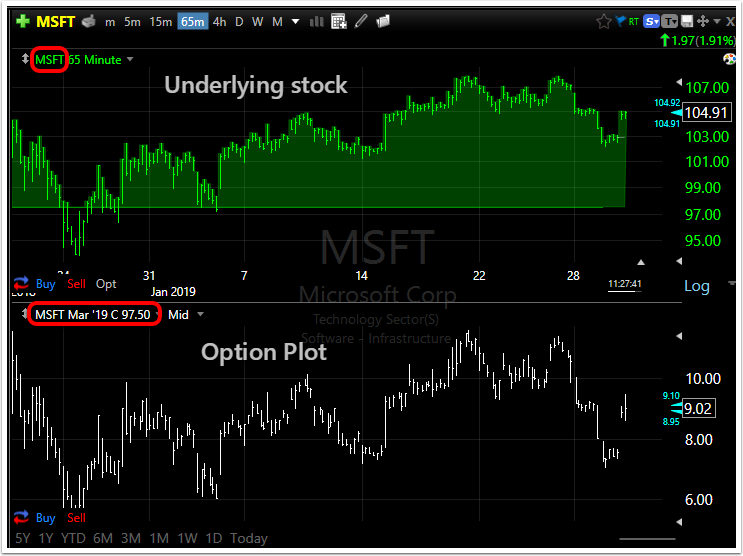 You will now see a plot of both the underlying stock and the option. Click here for more on viewing option chains and charts. 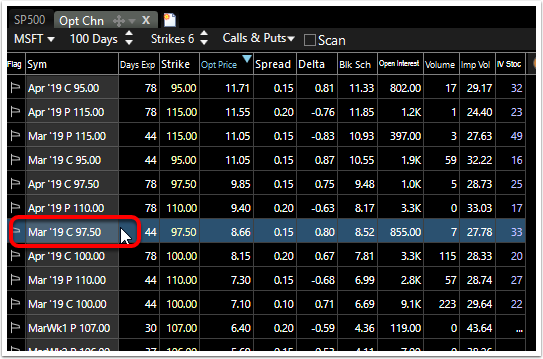 Click the data point drop down and choose the data point on which the option price history is to be based.